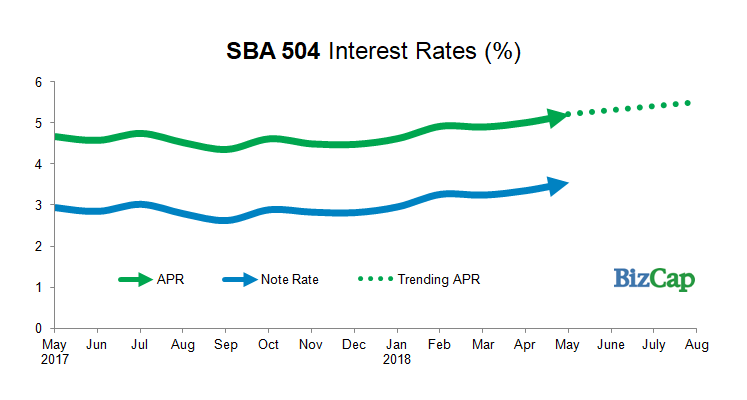 You shouldn’t be surprised when we tell you that interest rates for small business loans have risen again. As a matter of fact, we’ve seen rate increases in five of the last six months. We fully expect the trend to continue into the foreseeable future. 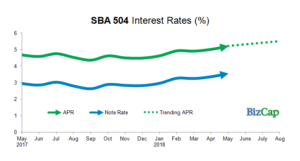 However, interest rates for SBA loans are still very low, making this a great time to act on your business’ plans for growth by securing small business financing from BizCap. Acting now, can mean saving money by locking in your interest rate before they climb again. If you’re ready to invest in your business’ future, give Gary Fischer a call at 937.531.7038 or send him an email.